There are many ways organizations can work to improve patient satisfaction. They can train employees to be more compassionate, kind, and supportive of patients throughout their treatment. They can bring in tools to help with matters such as refilling prescriptions and finding specialists. They can allocate resources to educate patients about their financial responsibility and offer various options to help patients cover the cost of their care. They can strive to ensure patient appointments remain on schedule. All these efforts are worthwhile and, if executed effectively, should have a positive impact on patient satisfaction and patient satisfaction scores, such as the Hospital Consumer Assessment of Healthcare Providers and Systems (HCAHPS). But a guaranteed approach to lowering patient satisfaction is to harm patients. 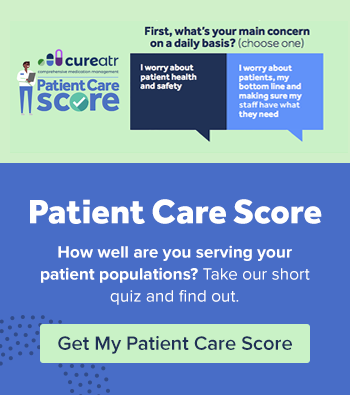 That's why, regardless of whatever initiatives are carried out to improve patient satisfaction and survey scores, provider organizations must ensure patient safety is always viewed as the top priority. It’s not just about patient satisfaction, it’s about the Hippocratic Oath. Whatever can be done to keep patients safe should always be done. Follow these four tips to help your organization staff improve its patient safety performance. As the Agency for Healthcare Research and Quality (AHRQ) notes in a Patient Safety Primer, "Improving the culture of safety within healthcare is an essential component of preventing or reducing errors and improving overall health care quality." The report goes on to state that "poor perceived safety culture has been linked to increased error rates." Recognizing the importance of safety culture, AHRQ sponsored the development of patient safety culture assessment tools for settings including hospitals, medical offices, and ambulatory surgery centers. The AHRQ "Surveys on Patient Safety Culture" (SOPS) program is intended to enable organizations to assess how their staff perceive various aspects of patient safety culture. These surveys are publicly available for download and use here. Each SOPS survey kit contains survey instruments, instructions on administering the survey, and supplemental items. Consider using this valuable, free resource if your organization has not done so already. Did you know that there are at least 350 languages spoken in U.S. homes, according to the U.S. Census Bureau? As the American population has grown increasingly diverse, so has the patient population. This can present significant safety challenges. As AHRQ states, "Research suggests that adverse events affect patients with limited English proficiency (LEP) more frequently, are often caused by communication problems, and are more likely to result in serious harm compared to those that affect English-speaking patients." Use professional interpreters. Federal law requires linguistic services for patients with LEP. Print educational materials in multiple languages, or at least have the means to do so. Train staff and build processes around what to do when encountering a patient with LEP. Your staff want to keep patients safe. But with an increased emphasis on patient throughput coupled with the overall growing complexity of healthcare, doing so is challenging. Help your staff by providing technologies designed to support safety efforts. 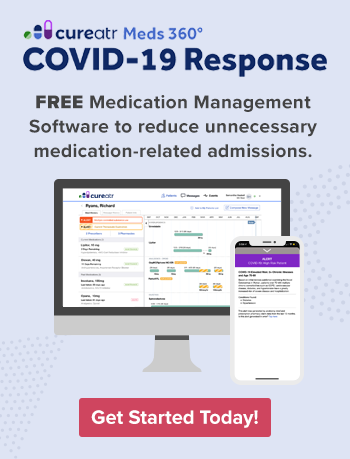 medication management solutions developed to help clinicians receive a complete picture of a patient's medication history to better ensure proper, safe prescribing of new drugs. In a recent study, Frost & Sullivan notes that adverse patient safety events in the U.S. and Western European healthcare systems impose an estimated cost burden of $318 billion in U.S. dollars in 2016, which is expected to reach $384 billion in U.S. dollars in 2022. Expect to see the development of more technologies designed to help reduce adverse events. The importance of communication between staff members concerning patient care cannot be understated. A misunderstanding about instructions or a missed message with new directions can lead to a treatment decision that has unintended and undesirable consequences. As Christopher Landrigan, MD, MPH, research director of inpatient pediatrics at Boston Children's Hospital said, according to a Patient Safety Monitor report, "All told, communication failures contribute to somewhere between 50% to 80% of sentinel events." One example of an area where effective communication between staff is vital is during patient hand-offs. As The Joint Commission notes in a September 2017 Sentinel Event Alert, "Healthcare professionals typically take great pride and exert painstaking effort to meet patient needs and provide the best possible care. Unfortunately, too often, this diligence and attentiveness falters when the patient is handed off, or transitioned, to another healthcare provider for continuing care, treatment or services. A common problem regarding hand-offs, or hand-overs, centers on communication." There are many tools available to help organizations improve their patient hand-offs, including a Joint Commission infographic providing "8 tips for high-quality hand-offs" and curriculum materials for I-PASS, an evidence-based package of interventions created to reduce communication failures during handoffs. Patient satisfaction can and should be enhanced with a multitude of programs, but satisfaction is destroyed when we harm patients. Prioritizing patient safety is a surefire way to enhance patient satisfaction and to uphold first, do no harm.